The miraculous catch in John 21 was that opportunity. Peter leaped from the boat and ran/swam to Jesus as fast as he could! Jesus was waiting for him. And Jesus could not have prepared a more perfectly customized restoration process for Peter. Breakfast on the beach together…eye-to-eye conversation for the first time since that ugly night outside the high priest’s courtyard…three affirmations and exhortations from Jesus…one for each of Peter’s denials. No doubt, the Peter we see in Acts 4 would NOT have appeared but for this critical restoration in John 21. This entry was posted in Christian Accountability, Church Unity, Forgiveness, leadership, Reconciliation and tagged broken, church, depression, John 13, John 21, leaders, Peter, power, Reconciliation, restoration on February 21, 2019 by Blake Coffee. There are three main characters in Jesus’ story of the prodigal in Luke 15: the father, the younger son and the older son. Each of them represent a different perspective on common human behavior, and I suspect each of us can relate best to each of them at different times of our lives. Sometimes we are the one betrayed (like the father), sometimes we are the rebellious one (the younger son) and sometimes we are the one crying out for justice (the older son). But in every case, Jesus told the story to demonstrate one simple truth: the way back to a right relationship. And that, it seems to me, can be the most confusing path of all. I am so glad for what Jesus’ story shows us about how to return to a right relationship, once we have determined to do so. This entry was posted in Christian Accountability, Church Unity, conflict, Forgiveness, Reconciliation and tagged betrayal, confession, family, father, Forgiveness, Jesus, Luke 15, prodigal, rebellion, Reconciliation, relationship, son on January 30, 2018 by Blake Coffee. 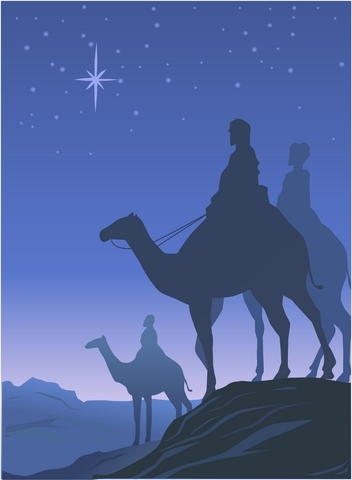 At the risk of spoiling your nativity scenes, here are the facts about the magi (separated from the myths): (1) they probably were not kings, (2) we do not know how many there were, (3) they never saw Jesus as an infant, nor the manger, nor the shepherds, (4) we do not know their names nor their nationalities. We actually know surprisingly little about them. The sum total of what we do know, we learn from 12 small verses of scripture in Matthew’s gospel. That is all. But it is enough for us as peacemakers to continue to learn some important truths from the Christmas story. These magi (however many there were), were apparently scholars and apparently familiar enough with Jewish prophecies to understand that the “king of the Jews” had been born. They were also men of science, familiar enough with the night sky to recognize a star which did not belong there. They were also shrewd seekers of Jesus, not thrown at all off track by Herod’s deception or malicious intentions. These are all good qualities for peacemakers. A peacemaker among God’s people is a student of the Word. I know I’ve already made this point in this series, but it bears repeating. The truth of God’s Word is critical to peacemaking among His people. Peacemakers therefore immerse themselves in the Word regularly…even in all the woes and warnings of Old Testament prophecies. This entry was posted in conflict, Peacemakers, Reconciliation and tagged advent, Christmas, church, God's Word, Jesus, magi, Matthew 2, peacemaker, relationships, shepherds on December 21, 2017 by Blake Coffee. Of all the miracles referenced in the Bible, the Pentecost miracle in Acts 2 may be at the top of my list of moments I would love to have seen. The tongues of fire ushering down God’s Spirit to indwell God’s people…wow! This entry was posted in 5 Principles of Unity, Christian Accountability, Church Unity, Reconciliation, Spiritual Formation, Spiritual Gifts and tagged Acts 2, Armenian, Calvinist, church, Colossians 1, contemporary, conversative, crucifixion, liberal, Pentecost, resurrection, traditional on September 7, 2017 by Blake Coffee. At the very front end of Cain’s anger and frustration, before it had lead to anything permanently damaging, God warned him. “Cain, you better get control of this anger, or it will get control of you.” Well, that’s my paraphrase. God was warning Cain about a part of the human condition to which we often turn a blind eye: anger is not something to leave unattended. Unresolved anger, you see, turns into bitterness. And bitterness, over time, is a disease that spreads into our heart, our eyes, our brain, and a host of other places. This entry was posted in Christian Accountability, Church Unity, conflict, Forgiveness, Reconciliation and tagged Able, anger, bitterness, blind, blinded, Cain, conflict, Genesis 4, pain on April 13, 2017 by Blake Coffee. It was actually more years ago than I can remember…I was sitting with a church leader while her church was in the midst of turmoil and conflict and she was sharing the litany of painful circumstances that had befallen her church. It was just one horrible thing after another after another after another. It was startling. And then she said this: “It feels like God has written ‘Ichabod’ over our door. We are a God-forsaken church.” I had a vague recollection of the biblical reference but will admit to you now I had to go back and read the story again out of 1 Samuel. This entry was posted in Church Unity, Discerning God's Will Together, Gospel, prayer, Reconciliation, The Church's Influence and tagged 1 Samuel 4, church, crucifixion, departed, Eli, forsaken, glory, humiliation, Ichabod, Israel, Jesus, Matthew 27, painful, prayer, rebellion on February 18, 2016 by Blake Coffee.